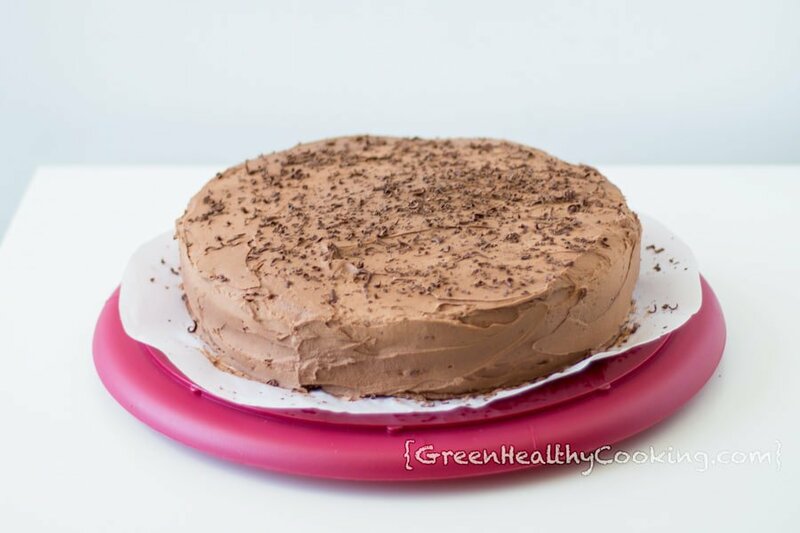 With this post I want to show you all that it is not only possible but also easy to make Healthy Birthday Party Food without compromising taste and look. 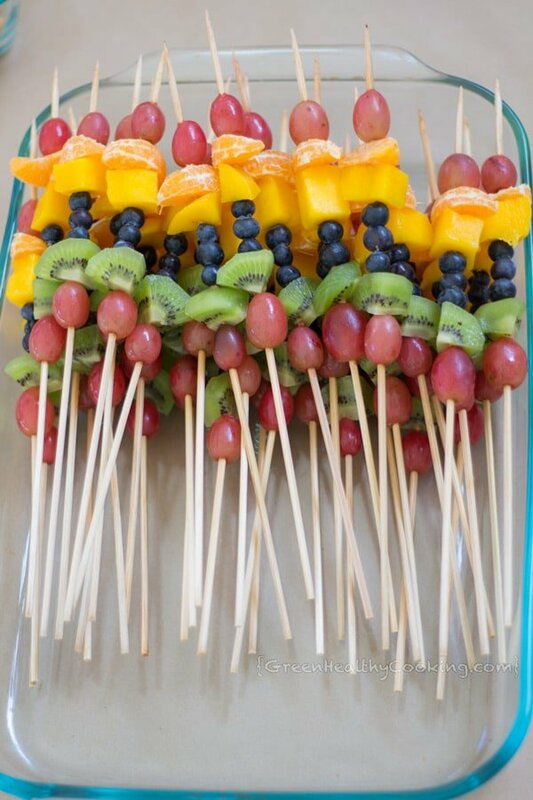 Everybody will thank you for offering healthy food instead of junk, especially parents when you make it for a kid’s party. I know oh so many moms and dads that feed their kids an extra heavy lunch and force feed them a couple extra spoons so they are VERY full before going to a birthday party where they know mainly fatty, sugar-loaded, food-colored junk food will be served. I certainly plead guilty of having force fed my children before birthday parties, uh-oh! However, I also admit that I don’t really like doing that. I want my children to stop eating when they are full and not ever force them to overeat. I haven’t found another solution to the problem yet, though. I can only write a post about it and hope to reach as many people as possible. So if you are just as concerned about what kind of food is served at parties as I am, please be an example for others and offer healthy food yourself. Plus: share this post with as many people as you can. I truly hope this will make a difference in many people’s lives. Let healthy food rule the party world! Pumpkin Hummus with vegetable sticks (I used this tasty Pumpkin Hummus Recipe by Noms for the Poor). This can be prepared a day ahead and stored in an airtight glass container. Herb Quark Dip with vegetable sticks (I used my own yummy Herb Quark Dip Recipe). This can be prepared a day ahead and stored in an airtight glass container. You can also cut the vegetable sticks a day ahead and store in an airtight glass container to keep crunchy, only leave the cucumber uncut until the party day. Accompany the main dish with some home-made gluten-free bread which is made in minutes and all your guests will love and ask for its recipe. (I used Simply Recipe’s very easy, quick and delicious Easy Brazilian Cheese Bread Recipe). You can prepare the batter a day ahead and bake them the same day, they only take 15-20 minutes in the oven. 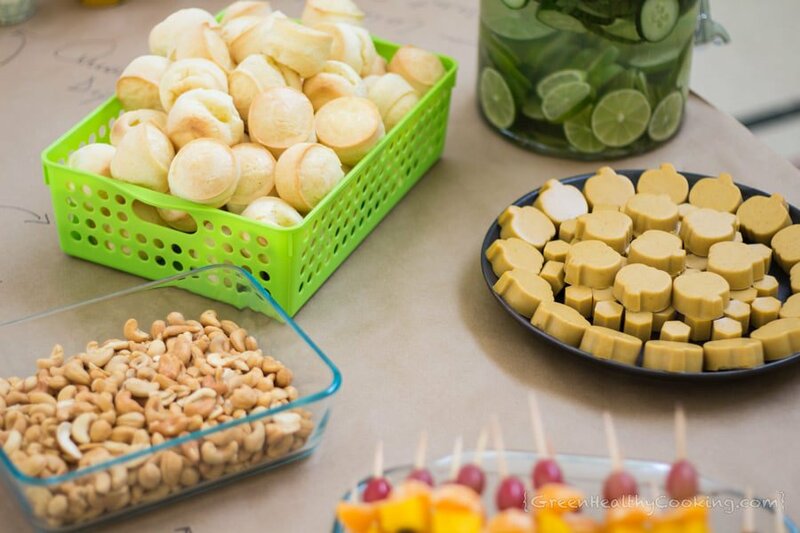 Serve some Cashews or any other nuts or seeds or maybe even nut mix so people can munch on something while all the guests arrive and the main food is served. This is basically the replacement for the typically served chips at parties. As “sweets” I really love to serve something that looks very special and thus impress my guests when saying it is completely junk free, like the pumpkin gummies in the picture above. (Find the recipe for the correctly called Creamy, Dreamy Paleo Pumpkin Bites on MamaNatural‘s website, one of my favorite Youtube vloggers). 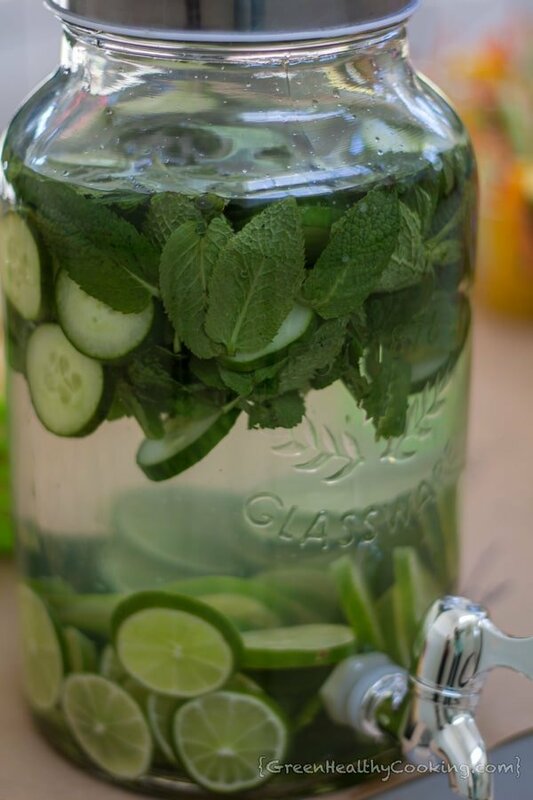 There is only lemons, cucumber and mint in the water. It gives the water a very subtle lemon-mint taste. At first you can hardly tell and the longer it sits the stronger becomes the taste and the cucumber starts to be noticed as well. Doesn’t this look just beautiful? 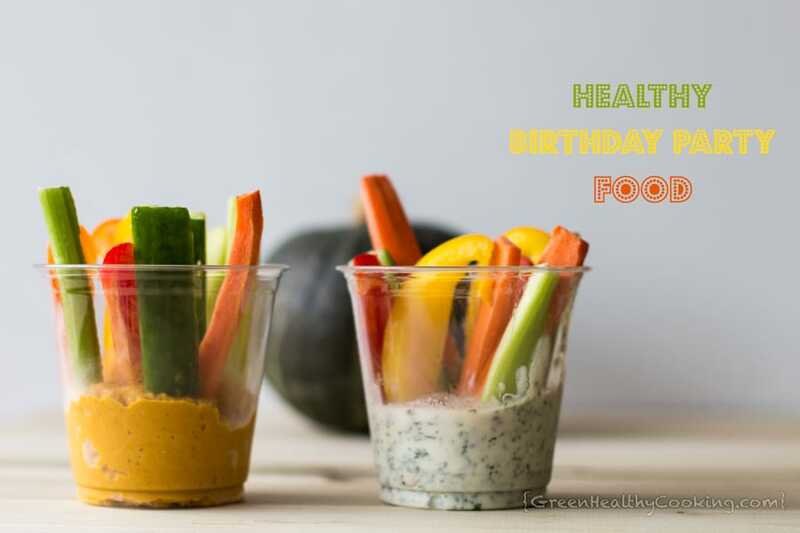 I hope I could give you some ideas for Healthy Birthday Party Food and encourage you to prepare something similar for your next party. Get Green Healthy Cooking's NOURISHING NEWS straight to your inbox! HI!! 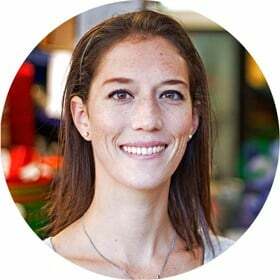 MY NAME IS LORENA AND I'M PASSIONATE ABOUT HEALTHY RECIPES MADE WITH CLEAN INGREDIENTS! Get the latest recipes delivered into your e-mail inbox!